We’ve recently learned that Sony Interactive Entertainment (SIE) will be shutting down the servers of Gravity Rush 2 on the game’s first anniversary (January 18, 2018). The fact that the game’s sales likely didn’t meet expectations probably contributed to SIE making this decision. And it’s true that the game is for the most part a single player experience which remains largely unaffected by this change. Yet for a number of reasons, outlined below, the decision still does a lot of harm to Gravity Rush 2 and the Gravity Rush franchise overall. I assume this is there to avoid claims of false advertising being made to Sony. But it’s easy to see how the updated description on the PS Store can make people think twice about buying the game. I can’t claim to know how much these online servers are costing Sony. But given that the game only needs to access the servers asynchronously, it’s surprising to see they still cost enough for SIE to want to shut them down. Especially when it means having to warn people about the closure on the game’s PS Store page. Central to the online component are Dusty Tokens. These tokens can be earned in a number of ways, but online via the online functionality. By Sony’s own admission, players will no longer be able to earn Dusty Tokens, or unlock the rewards linked to them, after the servers go down. 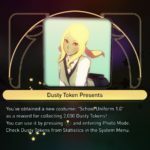 The fact that Dusty Tokens are now easier to acquire won’t help the people that buy the game after January 18th. This means there’s no backup plan in place to make the rewards available in a different way. Furthermore, the game’s treasure chests contain no less than 58 unique items. Yet these treasure chests are very difficult to find without the “treasure hints” online component. In my experience, it’s simply not feasible for players to try and find that many treasure chests by playing the game offline. So in practice, players may find it impossible to unlock even more items than just the Dusty Token rewards. In other words, not only are the online components being removed, the game will contain content that new players simply won’t be able to access anymore. While there’s no direct player versus player competition in Gravity Rush 2, it does include a way of challenging other players. You can try to beat your best score in one of the game’s many Challenge Missions, but after completing your mission you can also choose to upload your “ghost” to a friend or a random opponent. If they accept the challenge, they’ll get to race against your ghost, and the winner is rewarded with Dusty Tokens. This functionality will also be removed when the servers go down. But worse is the fact that even the online rankings will be removed. Not being able to see what scores the best players are getting, and how high you rank worldwide, is a bigger loss. Even Gravity Rush Remastered still has its online rankings for its challenge missions. One can argue the services aren’t used that much. Compared to online-only games, that’s undoubtedly true. Still, over the past month on average more than 300 players joined the worldwide Dusty Tokens charts every day. That’s one every five minutes. These are all people using the online functionality in a variety of ways. I haven’t even talked about the other functionality that will be lost. At the moment players can upload in-game photos for others to review, earning them Dusty Tokens if the review is a positive one. This made people more eager to take pictures and upload them to social media. In the game’s Delvool Trench Mines, a dungeon-like series of challenges comprised of 50 layers, you can encounter “Ghosts of the Fallen”. These ghosts are found at the place where other players died, and left behind some of the talismans they had earned for you to obtain. Both the photo reviews and the ghosts from other players will also be gone when the servers go down. And without the ability to upload photos and start a “Treasure Hunt”, the treasure chests in the game becomes a less interesting experience. Blue ghosts represent photo reviews in the game. The ghost of a defeated player in the Delvool Trench Mines. The online features contributed greatly to giving players the feeling that they were connected to the rest of the community. One can question why SIE isn’t looking into making the Dusty Token/Treasure Chest rewards available in a different way (or just unlock them for everyone), and at least keep the online rankings. But it seems as if SIE wants to avoid spending any more time on a patch, and just pull the plug on the servers, future players be damned. Once the servers are down, Gravity Rush 2 will simply have no online functionality at all, even less than Gravity Rush Remastered. It also means that SIE is throwing away all the work that went into adding the online components to the game, and the updates that the service received after the game was released. While it’s doubtful that we can reverse the decision, I don’t think SIE expects people to make an effort in persuading them otherwise. Perhaps it would be possible to get them to consider at least preserving the online rankings, and making the Dusty Token and treasure chest rewards available to players in a different way. 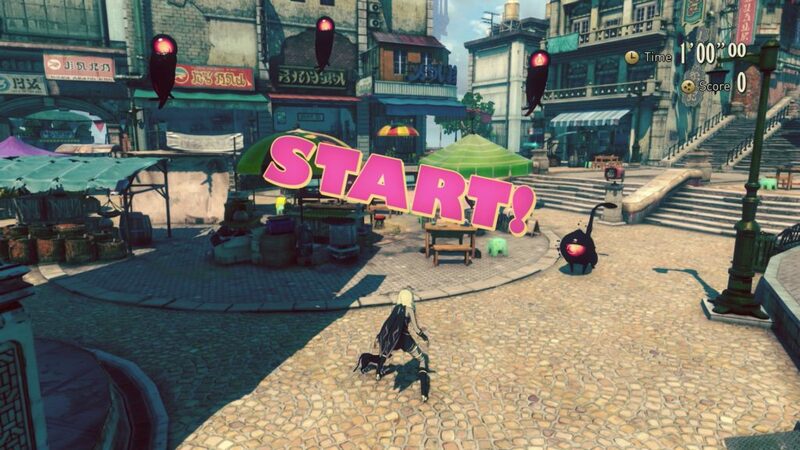 To Gravity Rush fans, this isn’t just about the online servers. It’s about supporting a unique franchise that deserves better than to be deemed a failure only a year after the release of its second game. And by reversing their decision, Sony could bring the game back into the gaming news in a positive way. There’s still some time left for the Gravity Rush community to make their voice heard. I’m thinking of ways for us to do that effectively, but I’ll save those for a different article. If you have any ideas of your own, feel free to share those in the comments or on our social media! I completely agree with you, i honestly can’t believe sony is shutting down the online service so fast, especially considering how they brag so much about supporting unique franchises and creative developers. I think they were expecting relatively “big” sales for gravity rush 2 in a short time, but sadly, gravity rush is a niche franchise, and this type of games tent to get sales on the long run, as people get to know them either from youtube, friends or just out of curiosity, and good chunk of the time, they are considered just as good if not better than most mainstream games (especially in this generation). 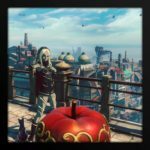 I don’t know how online serves work, if there’s a specific serve for each game that have online components or if they all use the same serves, but i doubt gravity rush 2 is hurting them in any way by keeping the serves up, after all, it’s functions aren’t demanding by any extent, and like you said, it connects the community and make activities like taking pictures and doing challenges even more fun, and the treasure hunts are so much fun, every time i do one, i feel like i’m in someone else’s world, and every time i’m in an area with a very difficult-to-find chest (especially in lei colmosna and elgona) i always try to be creative as possible to help find the treasure more easily. It’s little details like this that help a game be more immersive, sony is making a huge mistake by taking down the serves, and if they truly feel proud of supporting this type of games, then the more reason why they should help it as much as possible, just because it didn’t sold a million in the first months of release doesn’t mean the game isn’t worth it, if anything, is among the few games this year that’s actually a true video game, something made with soul and passion, not a plastic product like most games that have come out recently, especially with the whole loot box fiasco. I’m glad sony made this game a reality, but that just make it more disappointing to hear this. So far people have liked my walkthrough of gravity rush and are desperate for me to start the second game, some even have told me that they have bought the game because of the way i express my feelings for the game, they wanted to try it out, and so far the reception has been very positive, from liking it to loving it. I’ll see what i can do to help out. Gravity Rush 1 got boring, and I hesitated to buy 2. If they are shutting down servers, they should also unlock all if the costumes. I was literally just about buy it, but the server shut down made me wonder if it will soon be heavily discounted or free. The game is so charming and unique you should buy play it regardless.